With the media surrounding the sugar debate and transparency of the food supply chain becoming a must for consumers, the sugar market has once again proved itself to be a changeable one. Ben Eastick, Director of sugar and syrup specialists Ragus, talks to Kennedy’s about his certainty that sugar remains the gold standard sweetener for confectioners and bakers alike and how their company are staying afloat in such an unpredictable market. Ragus are able to customise to various demands and create endless types of speciality sugars and syrups. Their range comprises around 20 product streams including raw sugars, muscovado, soft brown sugars as well as golden syrups, refiner’s syrups, treacle, molasses and invert syrups. “Then you’ve got customised blends. Pharmaceutical companies will come to us to ask for sugar and glucose as a bulking agent for cough linctus, so we can also do sugar/glucose blends,” adds Ben. Main markets for Ragus include bakery, which comprises around 75% of their business, brewing is around 6%, confectionery between 6-8% and roughly 10% is other. 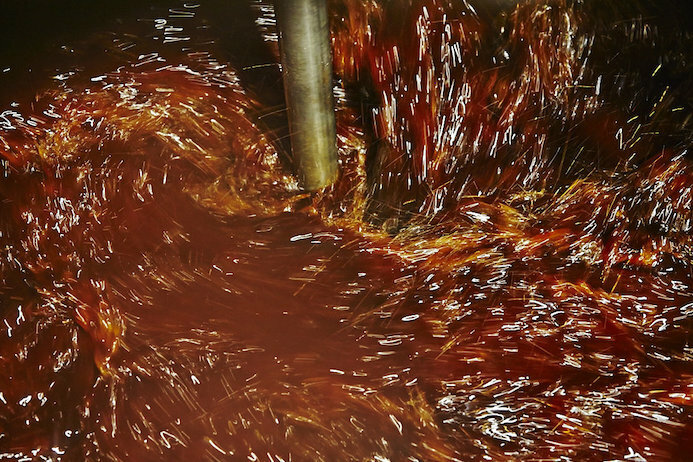 Syrup production for the confectionery industry. When discussing movements within the market, Ben examines the word “transparency” which is becoming increasingly prevalent in the confectionery and bakery industries. While suppliers need to be BRC approved and be able to run to ISO 9001, what is coming more to the fore is Sedex legislation for consumers to be more in the knowledge of food supply chains. Confectionery is also a growth area for Ragus. While this market comprises around 6-8% of their business, this is set to increase due to the ability to make treacle molasses. “Molasses is a very volatile product. It’s hard to handle, it’s dirty, it reacts with itself and can froth up, causing companies to be reluctant to handle it. Yet the confectionery industry needs a lot of it. Molasses is a relatively cheap product but it’s a complex process. We have the ability to complete this method and so that is a growth area for our business,” adds Ben. Due to worldwide use and global sourcing, sugar is an interesting and constantly changing industry. While Ragus are looking to progress in confectionery, concurrently there are emerging markets that are of use to consider for the years to come. “Asia’s market is growing massively,” says Benjamin, “then there are the countries that manufacture it such as the largest producer Brazil, followed by India.” Therefore, not only is sugar influenced by factors such as politics and public awareness, but also of worldwide growth in Asia and South America. Ben ends on a positive note, mentioning how the market, although at times can be tough, is an interesting and exciting one to be a part of. And with a new and more efficient factory, a 2014 growth that is higher than expected and a competitor with a situation that is becoming increasingly unsettled, Ragus are situated in a unique and exciting position within the sugar production industry. 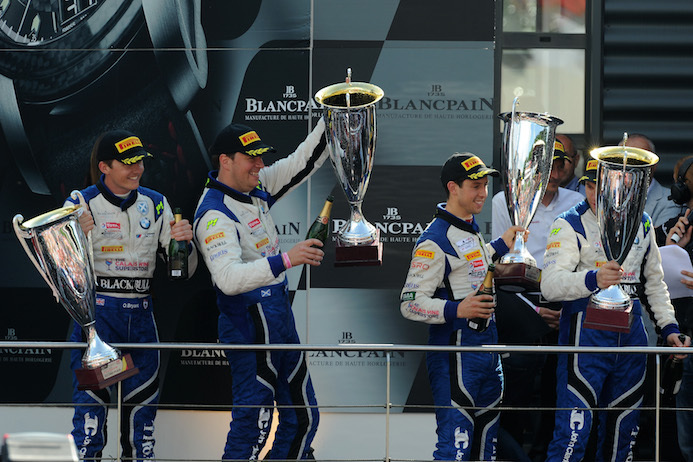 Ecurie Ecosse drivers celebrate on the Spa podium. 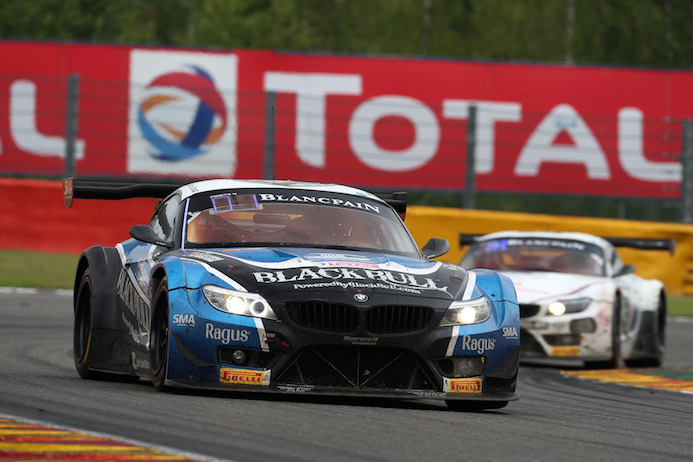 Sensational performances over two weekends at Spa-Francorchamps helped Ecurie Ecosse open up a commanding lead in the British GT Championship title race after Marco Attard and Alexander Sims scored their second win of the season in Belgium on the weekend of July 11/12. Victory in the second of round five’s two races, as well as a fourth place in Saturday’s opening encounter, has helped Attard establish a 23.5 point advantage over the Beechdean Aston Martin of Andrew Howard and Jonny Adam. Alexander Sims is also second in the championship despite missing the previous round. Ragus sponsored Ecurie Ecosse GT3 still running after 24hrs racing. 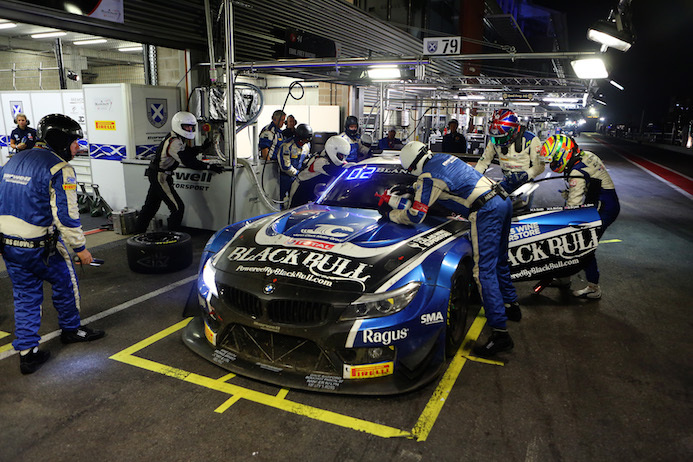 Two weekends later Ecurie Ecosse were back at the Belgium circuit for the 90th anniversary 24 Hours of Spa, part of the Blancpain Endurance Series. Fuelled by Ragus Pure Sugar Energy, drivers Alasdair McCaig, Andrew Smith, Oliver Bryant and Andrew Sims all played their part in steering the Barwell Motorsport run BMW Z4 GT3 clear of the many serious incidents that marred this year’s edition of the world’s premier GT race. The result a remarkable seventh overall and second in the Pro-Am class ahead of all the works Aston Martin, Nissan and Bentley entries. This amazing result moves Ecurie Ecosse to second in both the drivers’ and teams’ standing for Pro-Am with just one round remaining. 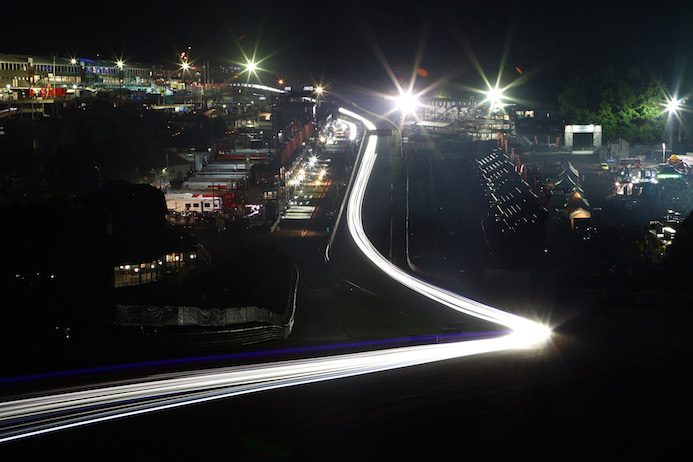 Fuelled by Ragus Pure Sugar Energy, midnight driver change. 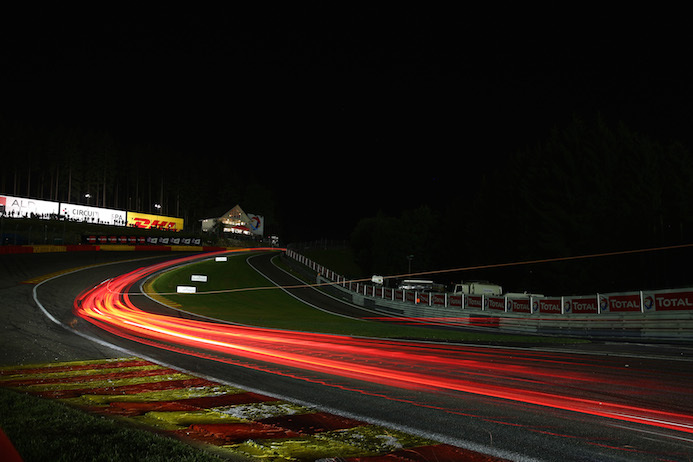 Festival scene that is the Spa 24hrs. You are currently browsing the Ragus blog archives for August, 2014.